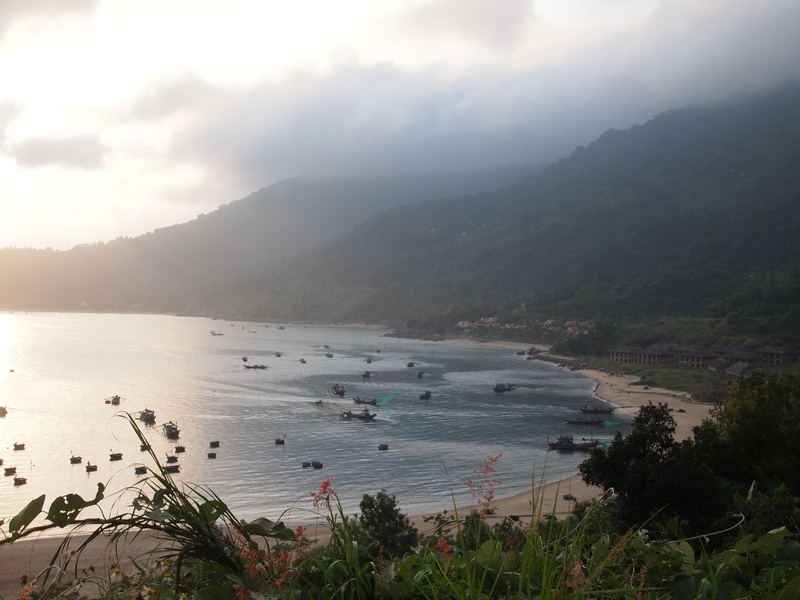 With heavy hearts, we left the secluded little fishing village of Bai Xep and continued north towards the beach town Da Nang where we met up one of Mitch’s friends from the Navy, Andrew, who was on a quick vacation before starting business school at UCLA-Anderson this fall. 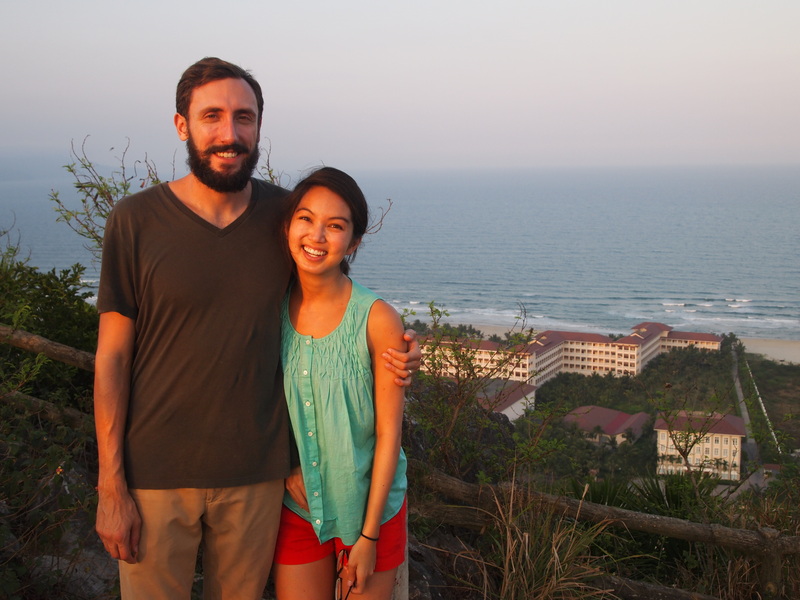 We spent the next week exploring three major cities in central Vietnam — Da Nang, Hue, and Hoi An. 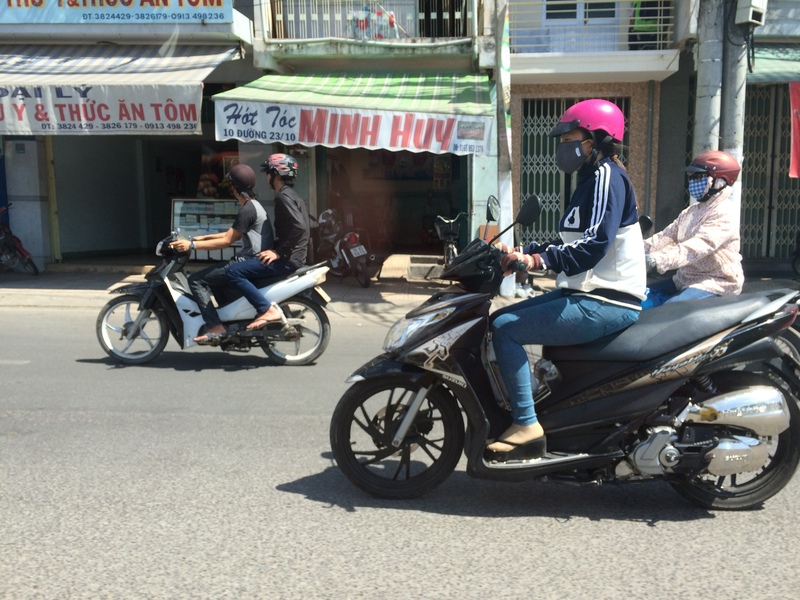 Our Da Nang hotel was right on the river and smack dab in the middle of food central, so being three brazen foodies, we were pretty excited. 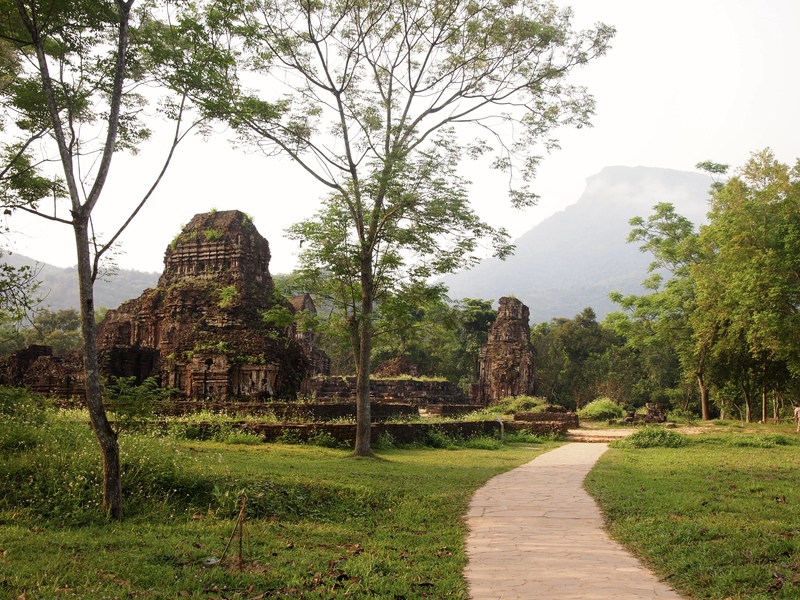 Da Nang has its share of foreign tourists, but for the most part, we encountered mostly locals and Vietnamese tourists. First things first: we found ourselves the best banh xèo in town at Ba Duong (Mrs. Duong), thanks to the awesome food blog http://danangcuisine.com. 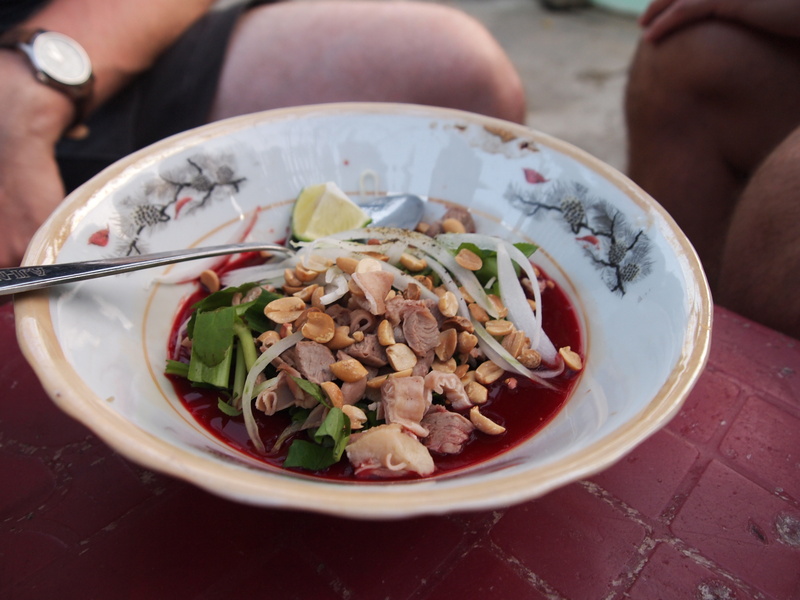 To find it, we walked down a long alleyway filled with banh xèo restaurant copy cats, but the real deal at Ba Duong’s was at the very end of the alley — a large, completely packed restaurant serving only this dish. Banh xèo is a savory rice pancake filled with shrimp, bean sprouts, and herbs. To eat it the traditional way, you wrap it in lettuce and rice paper, dip it in perfectly seasoned fish sauce, and take a bite for a mouthful of the some of the best flavors and textures of Central Vietnam. Mitch and I still dream of Ba Duong’s to this day. 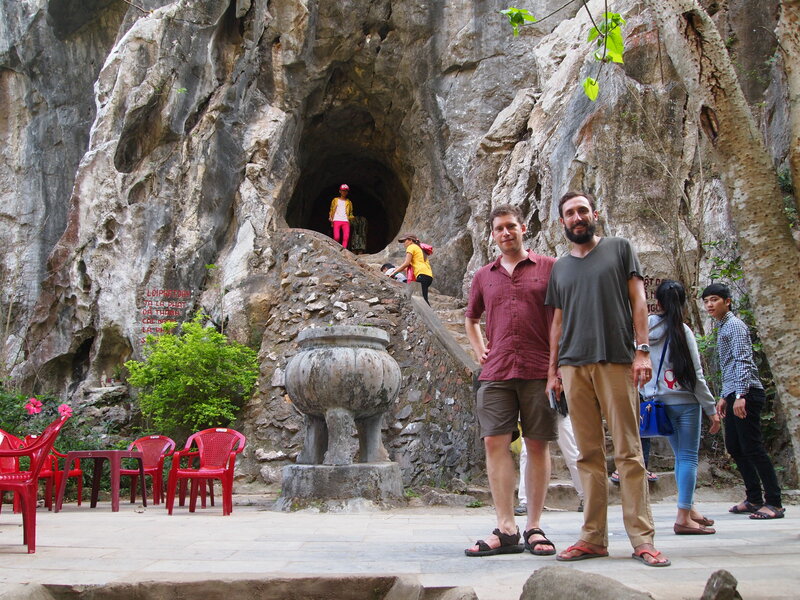 We explored the famed Marble Mountains and its crowded caves as well tiny hidden beaches along a small, north-eastern peninsula above the city, but ultimately, the food in Da Nang was the highlight. 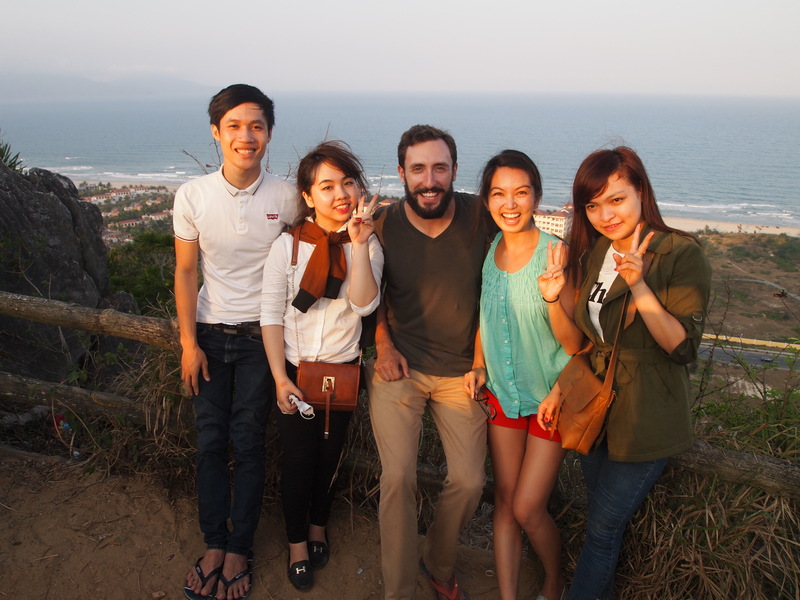 The locals were really into Mitch’s gnarly beard and wanted to get photos with us, haha! 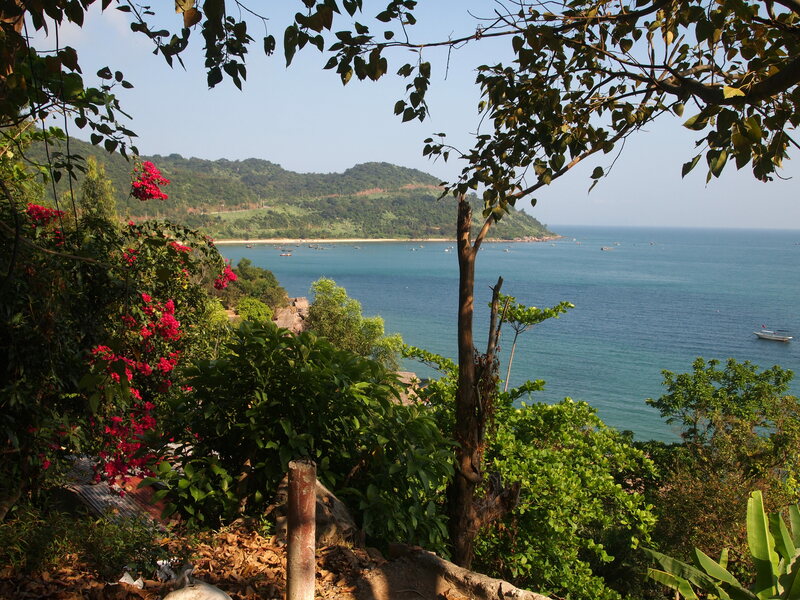 Driving around Da Nang on our motorbike, we found a secluded local beach after walking down a flight of stairs. Glamor shots! The water was incredibly warm, and we were the only ones swimming in it! 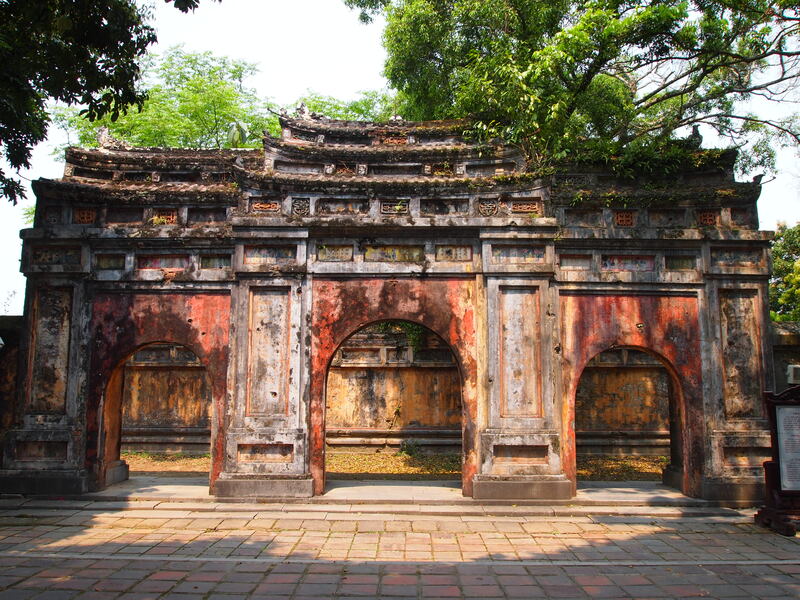 Our next stop was the ancient city of Hue, famous for its 19th century citadel and incredibly expansive emperors’ tombs. 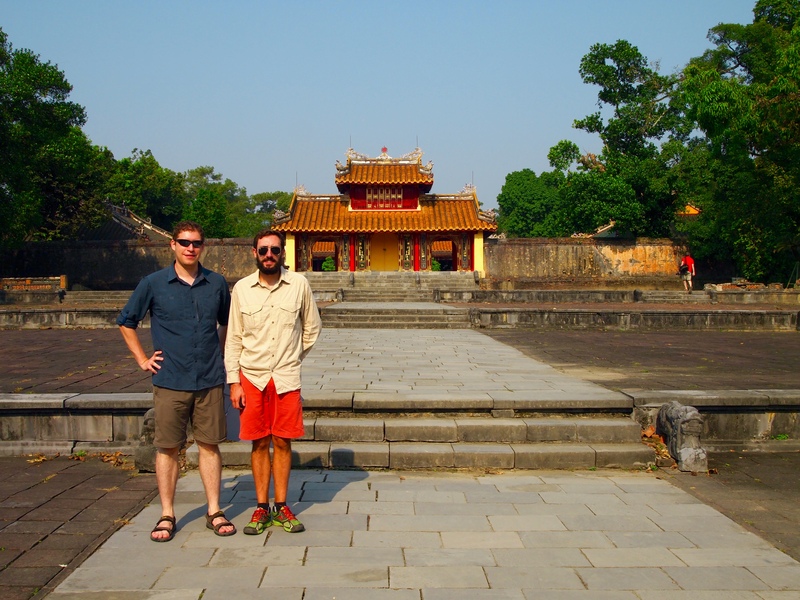 Here, we ate our way around the city and stopped by to see the citadel and tombs. 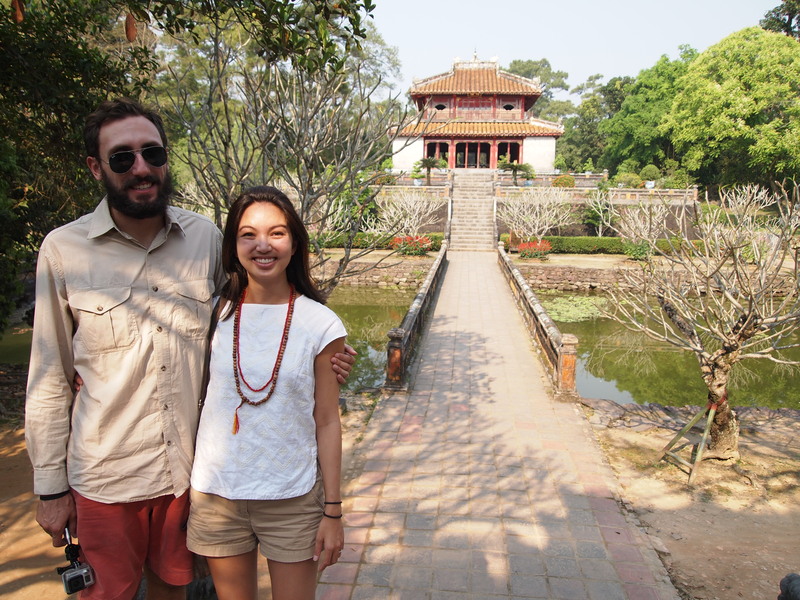 It was incredibly hot and humid in Hue, we could barely make our way through the sites. Mitch and I were a bit grumpy and thankful for Andrew for being so incredibly patient and flexible. One of the emperors’ tombs — they were incredibly elaborate and expansive. 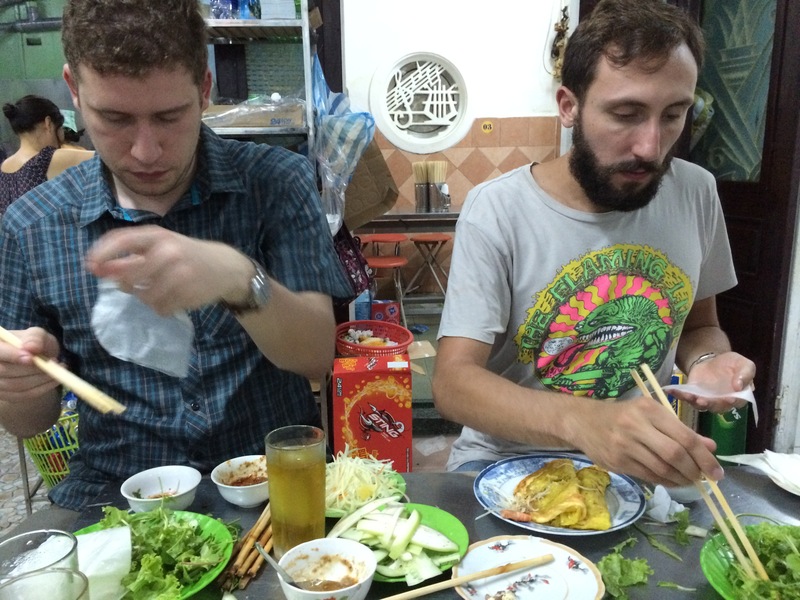 Mitch and Andrew enjoying some street food. This was Com Hen: a mixture of rice and tiny clams with veggies and herbs for breakfast. 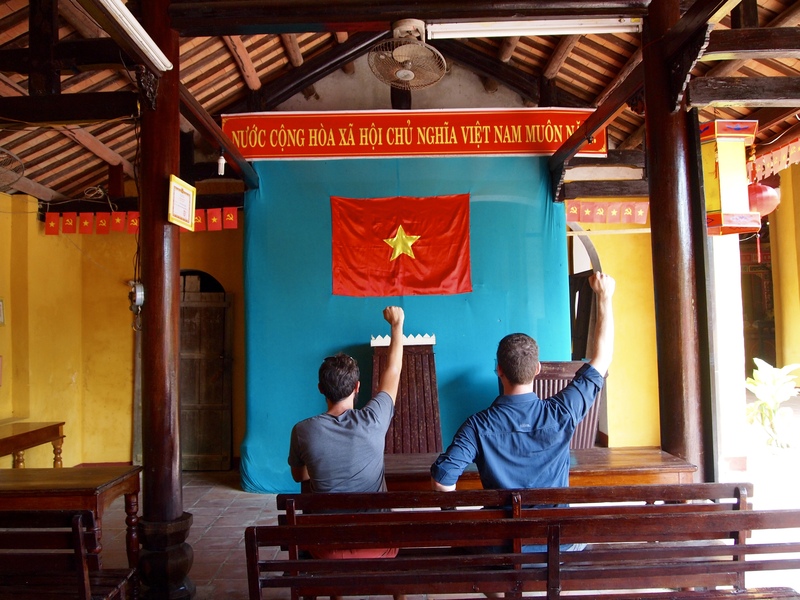 Our last stop in Central Vietnam was the charming little trade stop called Hoi An. 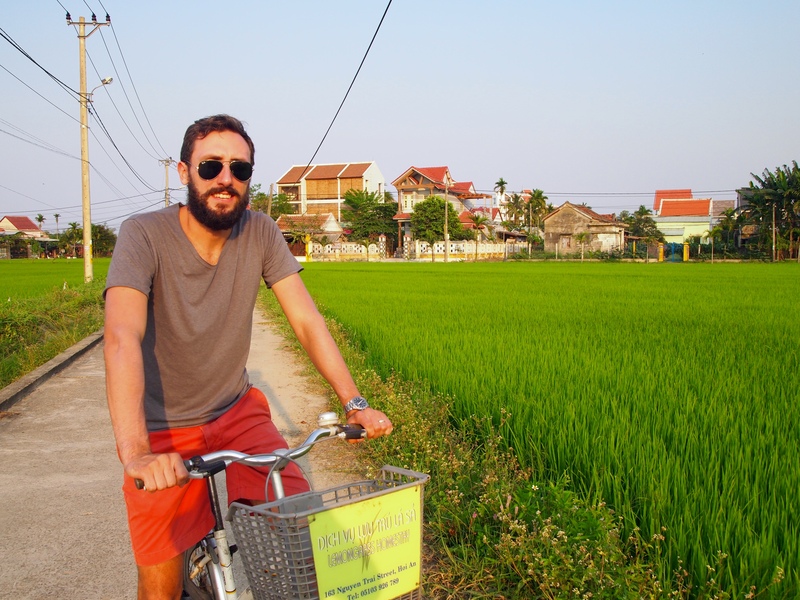 Despite being incredibly touristy, we enjoyed our stay here partly because the food was amazing and our guesthouse was incredible (Lemongrass Homestay) and out of the tourist city. 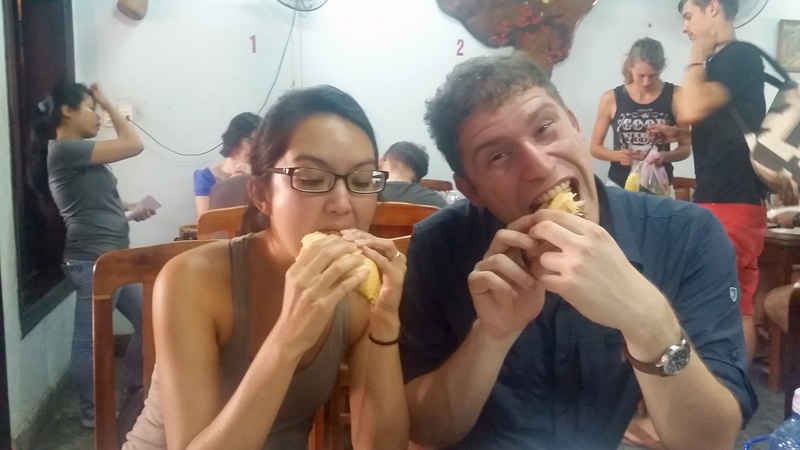 Andrew and I chow down on the BEST banh mi I’ve ever had at Banh Mi Phuong, an Anthony Bourdain recommendation. 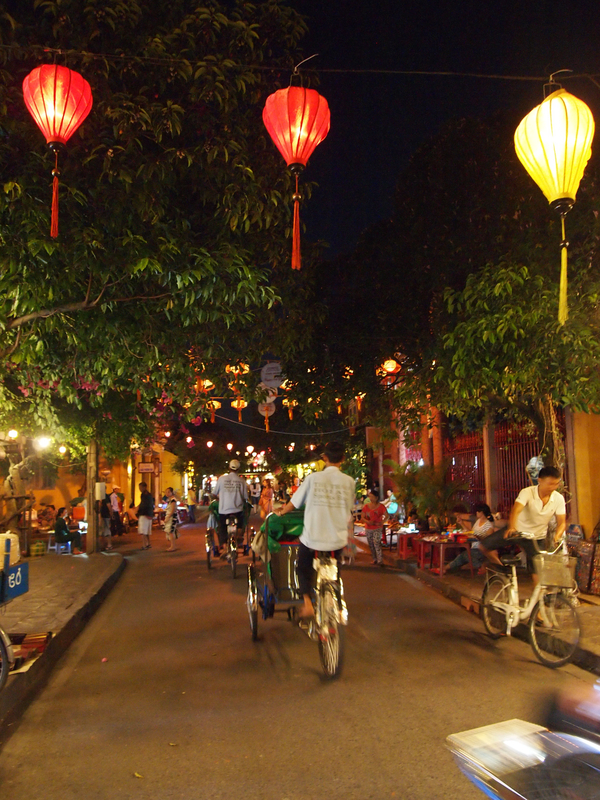 The streets of Hoi An are filled with beautiful paper lanterns and bicyclists, making it especially attractive at night and a huge draw for tourists. 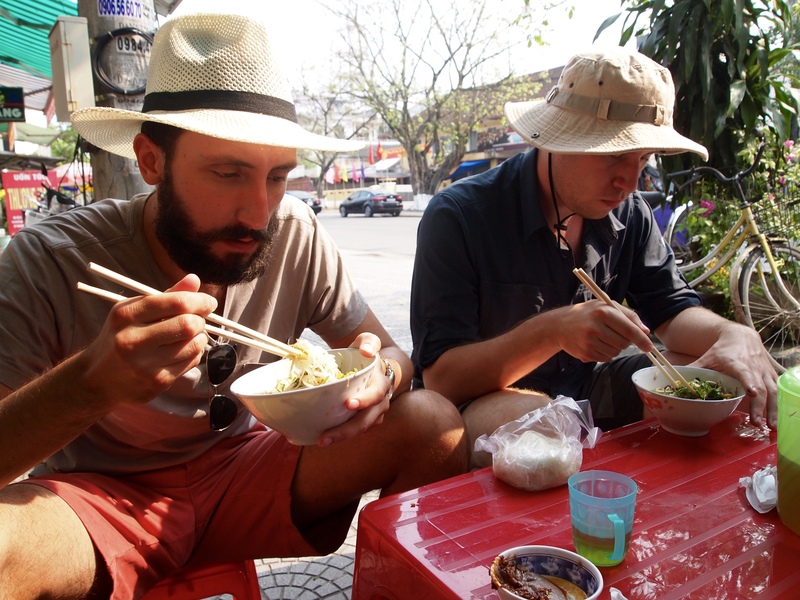 Overall, our experience in Central Vietnam was memorable because of the amazing food everywhere. 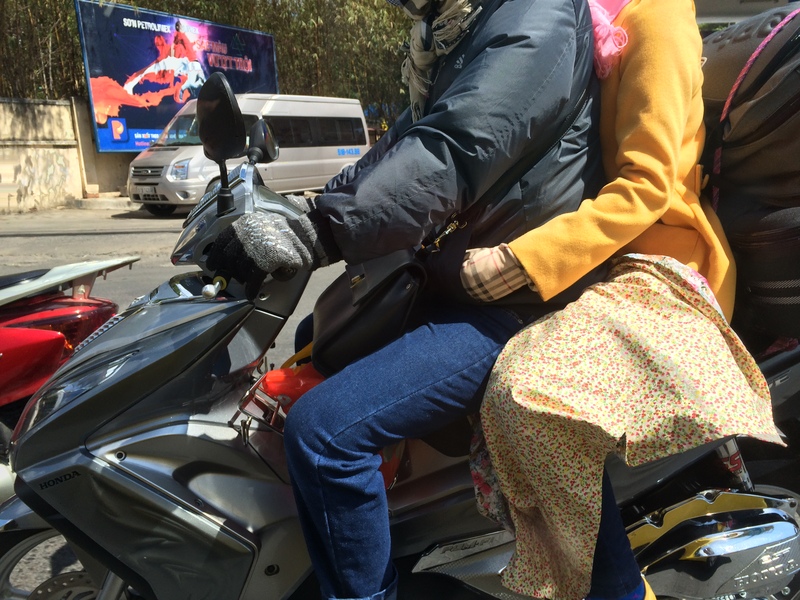 Despite being a bit burnt out on tourist attractions, we enjoyed what we saw, but ultimately remember the food as the highlight of this part of our journey. 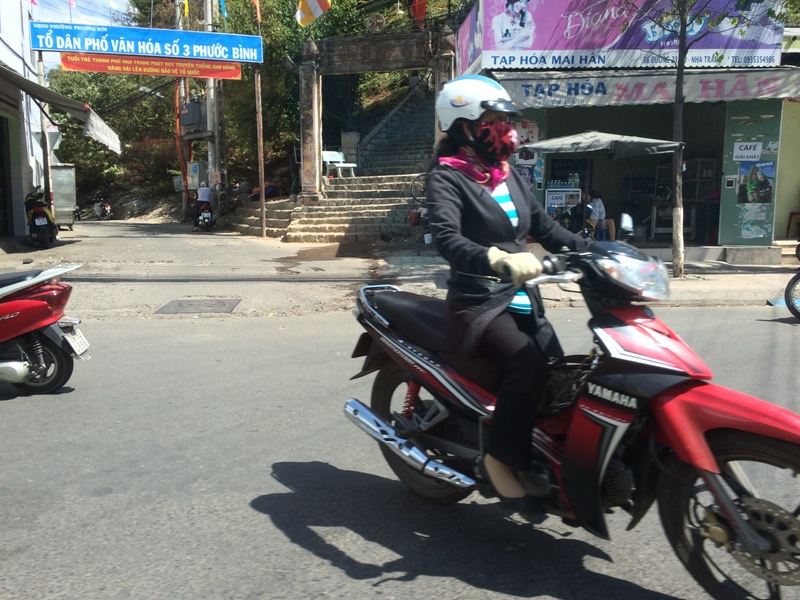 And now I’ll leave you with some photos of Vietnamese women covered from head to toe in sweats and hoodies in 90 degree, 90% humidity weather. The fight against the sun is real. 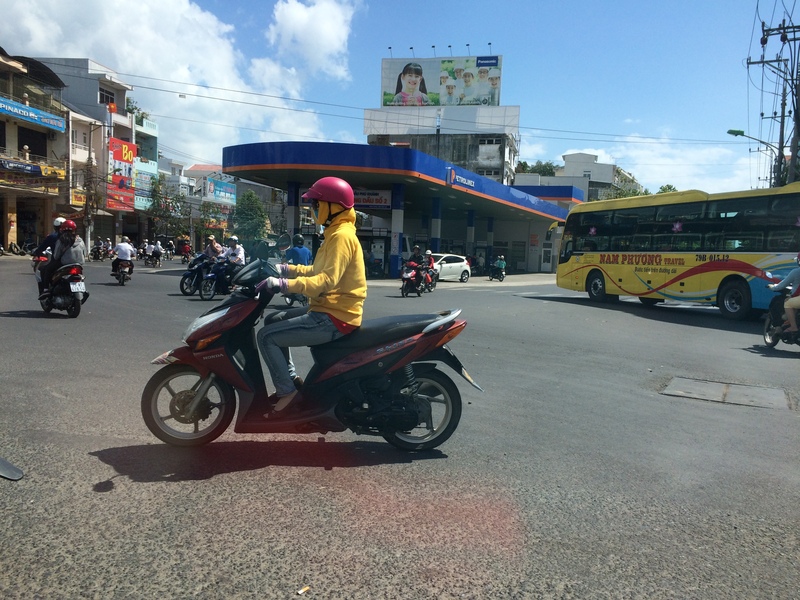 Next, we fly back down to Saigon and head from there to the Philippines!